I love Hickory Farms products, especially around this time of the year, when we are entertaining family and friends. Thanks to Mom Central and Hickory Farms, I had the opportunity to review the Perfect Picnic Basket. This is such a cute and fun product, not to mention it’s filled with yummy goodies! 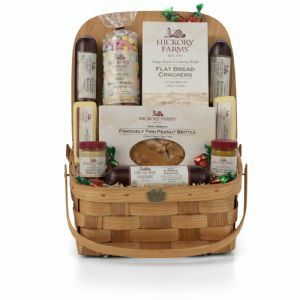 The Perfect Picnic Basket is filled with Hickory Farms Summer Sausage, creamy cheeses, crackers and mustards. It also includes Melt Away Mints and Famously Thin Peanut Brittle all beautifully wrapped up in a Peterboro Basket. Not only was I excited to dig into our basket full of Hickory Farms goodies, but I am also looking forward to filling it with goodies when I take my 3 boys on a picnic sometime soon. 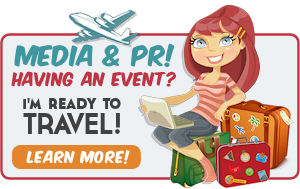 This is the time of the year when family, friends, and even employers are looking to give gifts for the holidays. What better way than to give the Perfect Picnic Basket as a gift. It has goodies that can be enjoyed now and a Picnic Basket that can be used in the future. The Perfect Picnic Basket retails for $100.00. Hickory Farms’ gifts, which have been a holiday tradition for nearly 60 years, provide a wide selection of signature sausages and savory cheeses in beautifully packaged boxes and baskets. I think that many of us can remember eating or receiving Hickory Farms products at some point in our lives. We remember the fun of carefully opening the product and incorporating the yummy items into our holiday traditions. For example, I remember the Hickory Farms Chees Balls every year at Christmas and New Year’s. I also remember the summer sausages, cheese, and crackers that we’d snack on while waiting for the ball to drop on New Year’s Eve. Hickory Farms makes gift-giving even easier this year, by featuring five signature gift boxes, using eco-conscious packaging, ranging from $16 to $100. Once again this holiday season, Hickory Farms will donate $5 from each Party Planner Gift Box sold* to Share Our Strength’s No Kid Hungry Campaign, a national nonprofit that is ending childhood hunger in America. Additionally, Hickory Farms provides free military shipping to military APO/FPO addresses on select products, allowing our troops across the globe to share in holiday traditions. Visit hickoryfarms.com to learn more about these two opportunities as well as the variety of gift boxes available! Thank you to Hickory Farms and Mom Central for this amazing review. We enjoyed our basket of goodies during the Thanksgiving holidays and I look forward to sharing Christmas and New Year’s Eve with Hickory Farms as well! We always go to the Mall this time of year because the Hickory Farms people open up a little store there. The hubster always wants some of their Summer Sausage. I like the store itself I think alot better than the baskets- but that might be because the stores have great samples- yummy! Our local mall has a Kiosk of Hickory Farms and I went barreling by yesterday, but I did think of my husband’s brother and wife who are hosting a Christmas eve gathering. Next time I’m at the mall, I think I will be checking them out. Thanks for the review.